Looking forward to the #Linux #Audio Conference 2018 (partly at #c-base), just booked the hotel. It&apos;s not hosted by fonts.google or so, which makes it tricky to refer to it from a #FLOSS project. Hosting on github has too short cache times (5min) for a large webfont. Today I finally found https://rawgit.com, a #CDN (StackPath) in front of github with large browser cache times (and mime type fixes). "NeoPG uses formal grammars even for parsing trivial data structures, down to individual bytes. This article explains why. " Back from the #libreoffice hackfest /community meetup and some long very interesting talks. It&apos;s a really nice community and having them meet up in Hamburg is something I couldn&apos;t possibly have missed! Twitter.com decided to suspend my account, no reasons provided. I&apos;d really like folks to switch and use Mastodon instead. If you run into an ill willed admin, you can simply start your own decentralized federation server. I&apos;m off to #JeffConf in Hamburg tomorrow morning, is anyone else going to show up there too? You get what you pay for, it&apos;s time tax payers GET access to the results of services they PAYed for. "I made a camera that prints a GIF instantly"
The other week I started writing what is essentially boost::serialization for #XML, i.e. C++ member serialization + field names to allow text based formats. The serialization format also needs to support arbitrary object graphs with interconnections. 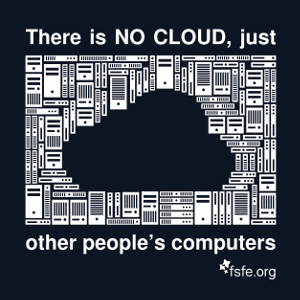 "There is no cloud, just other people's computers."